In the patriotic spirit of yesterday’s elections, we here at RLE Technologies have been thinking about all the things we like about life in the States. 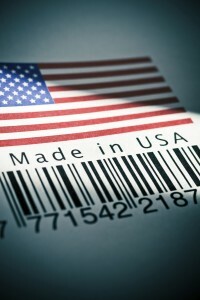 Almost all of our products are made right here in the USA. So it all started back in 1776 with “When in the course of human events…” and “We hold these truths to be self-evident…”. In 1787 we got a Constitution, in 1865 we reaffirmed our status as a united country. In 1959 we acquired Hawaii as our fiftieth and final state, in 1975 Saturday Night Live started its role as an American icon. And in 1984, when outsourced labor was really starting to gear up for the ride, a little company called RLE Technologies decided to kick off its life with the bold decision to keep its manufacturing close to home. There were a lot of reasons behind the decision, convenience and efficiency among them, but the first reason behind our rationale was that our community is important to us. RLE Technologies makes a point of providing the local economy with jobs. Fast forward 28 years and we’ve yet to regret that decision. More than 95% of our product line is manufactured in our facility in Fort Collins, Colorado. Our decision to manufacture domestically isn’t just something we keep in-house. The parts we don’t make ourselves we purchase primarily from other US manufacturers. There are only a couple of items that we purchase from companies that import them, and this isn’t by accident. When we buy from other US-based companies, we do our small part toward stimulating the economy in other cities around the US, too. We make a concerted and conscious effort to purchase products from US manufacturers whenever possible. Philosophy aside, we’ve also discovered that working within the States has been the right decision financially. The primary advantage is a question of control. We have control over our turnaround, over the quality and consistency of our materials, over the safety of our employees and our products. We have shorter lead times on our products…because they’re made close to home. We can specify and deliver on our promised timeframe…because every step of the process is close at hand and easy to oversee. We can easily visit our suppliers…because they’re all US-based, too. We know firsthand the environment our employees are working in, the components they’re working with…because they’re only ever a short journey away and subject to all the national standards on workplace safety. The second advantage to creating at home is the ease of communication. We both engineer and manufacture at our facility. This means we have a short development and manufacturing cycle, since a product goes from conception to distribution within our building. It also means that we can change and improve our products quickly. Being in the same building makes the exchange on ideas and input between engineering and manufacturing smooth. We’re all under one roof: we know each other, we look on each other as peers. That means that if manufacturing has a problem building a product or engineering as questions about how well a theory can be replicated in reality, it’s very easy to get together to discuss and to work things out. It’s also easier for us to customize products for individual customers since everything’s under one roof. The final advantage to building at home is that our employees are really intimate with the products we create. Not only does this make them more knowledgeable, it also means that they care more since we’re all in it together. Employees that build their own products are more vested in the company and its success. There are truths to the objections against manufacturing domestically. Products cost more; US-supplied materials cost more. But we firmly believe that the benefits outweigh the difficulties, and not just in terms of moral obligations and quality control (although those, obviously, are our major concerns). Even in the little ways, buying local saves money. We don’t have to buy parts in bulk to justify the overseas shipping costs. This keeps our inventory costs down and our quality up. We believe that, once you factor in all the variables, doing things overseas is really not as much of a savings as one might believe. So there it is. Our little celebration of patriotism. RLE Technologies is proud to support our domestic economy while providing the highest quality water leak detection and environmental monitoring systems both at home and abroad. What do you think? (And hey, we support free speech – wave the flag – don’t hesitate to be honest). What are some benefits or disadvantages you’ve found to manufacturing in the US?